National Coral Reef Management Fellowship Program – JOB OPENINGS! Interested in learning more about coral reef ecosystem management in your own backyard? Looking for a job that will provide solid hands-on resource management experience? Working towards building your career in natural resource management related to coral reefs? 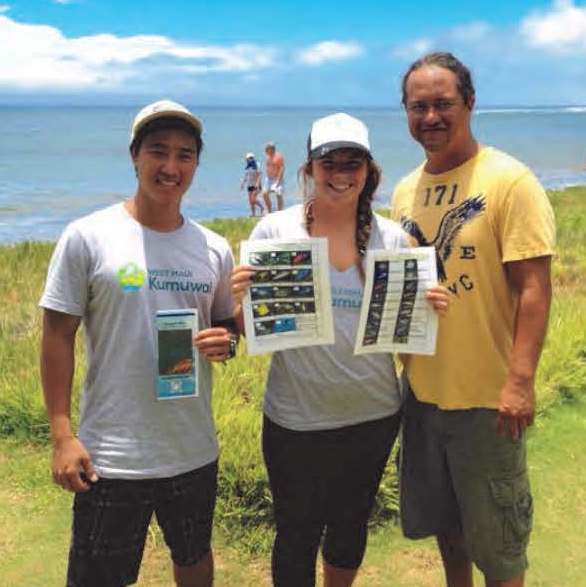 Want to be part of the next generation of coral reef conservation leaders? If you answered YES to any of the above, READ ON…! Anne Rosinski, previous Hawai’i Coral Reef Management Fellow. The renewed National Coral Reef Management Fellowship Program provides participants an opportunity to experience and learn about coral reef management within the seven U.S. coral reef jurisdictions that make up the AIC: American Samoa, the Commonwealth of the Northern Mariana Islands, Guam, Hawai’i, Florida, Puerto Rico, and the U.S. Virgin Islands. This Fellowship Program is a partnership between the National Oceanic and Atmospheric Administration’s Coral Reef Conservation Program, U.S. Department of Interior’s Office of Insular Affairs, the U.S. All Islands Coral Reef Committee, and the National Coral Reef Institute. Positions are open right now and close July 31, 2015. Coral Reef Management Fellows are placed in state and territorial natural resource management agencies (the host agencies) in each of these jurisdictions every other year where they work on specific projects related to coral reef conservation. Although fellows are employed through NSU, they are essentially working for the host agencies and should consider their on-site fellowship supervisors to be their direct managers. For additional information or questions about the fellowship positions, please contact John Tomczuk at john.tomczuk@noaa.gov. Unique opportunities to get involved with coral reef conservation… in your own backyard? Read on Guam! You can be a role model to younger Guam students interested in marine biology while you’re at it.